The fast and cheap communication and travel that we associate with globalization made the modern human rights movement possible. Responding effectively to distant abuse was difficult when we could not even learn about it until months or years later. Yet today’s more connected and mobile world has also created a threat to human rights. How we address that threat will play a major role in shaping the world to come. For example, the wave of refugees arriving in Europe in 2015, coming on the heels of decades of immigration, has triggered a backlash. Fearing job competition, terrorism, and cultural change, a disturbing number of Europeans are embracing a populism that prizes a nostalgic vision of ethnic purity, fanciful as it may be, over the increasingly mixed societies that their nations have become. Similarly, Donald Trump used ugly racism toward Mexican migrants to the United States to exploit white working-class insecurities about jobs, status, and safety. 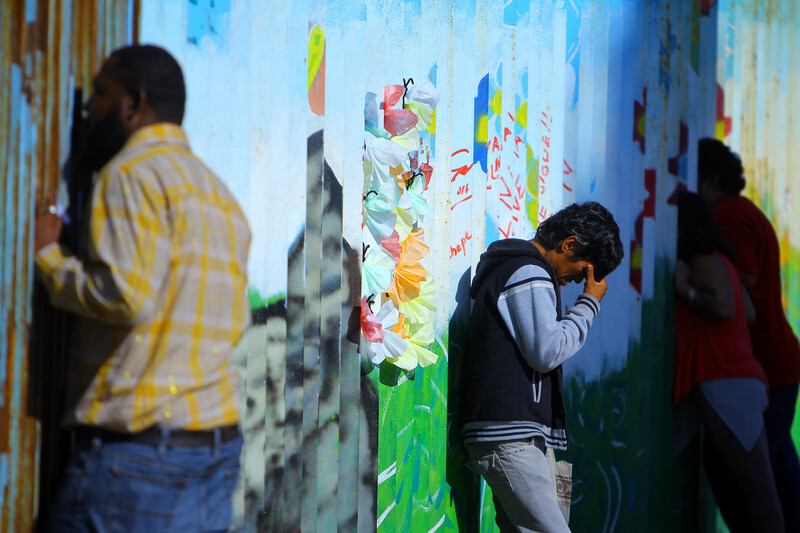 Throughout much of the Western world, nativism, xenophobia, racism, and Islamophobia are ascendant, often at the expense of the rights of refugees and immigrant communities. In its early years, the modern human rights movement was preoccupied with the atrocities of World War II and the repression and abuse of the Cold War. Having seen the evil that governments can do, the world adopted a series of human rights treaties to impose limits and deter future atrocities. Protecting these rights was seen as necessary to preserve space for individuals to live in dignity, free from undue interference by the state. Democracy was understood to require not simply periodic free and fair elections but also human rights and the rule of law. But today, many people have come to see rights not as protecting them from the state but as undermining governmental efforts to defend them against the perceived threats of migration. Encouraged by populists who promote a majoritarian conception of democracy, unrestrained by rights, they see rights as protecting only “other” people, not of particular concern to themselves. If the majority wants something, they suggest, the government should provide it, even if the rights of refugees, migrants, or minorities are trampled, and in some cases even if the courts oppose it. It is perhaps human nature that the more people differ from us, the harder it is to identify with them, and the easier it is to accept violation of their rights. But rights by their nature do not admit an à la carte approach. You may not like your neighbors, but if you sacrifice their rights today, you weaken your own rights tomorrow. Once a government is let loose, unrestrained by rights and the rule of law, there is no telling whom it may see as its next impediment. That’s the problem with a system of governance built solely around the interests of the majority. We forget at our peril the demagogues of yesteryear - the fascists, communists, and their ilk - who claimed to act for the majority but ended up crushing the individual. Compared with the more immediate perceived dangers of migration, terrorism, and cultural change, the concerns famously expressed in Martin Niemöller’s “First they came for…” poem may seem distant to today’s populists and the ordinary voters drawn to their message, but they may not seem so remote in the years to come if today’s trends continue. 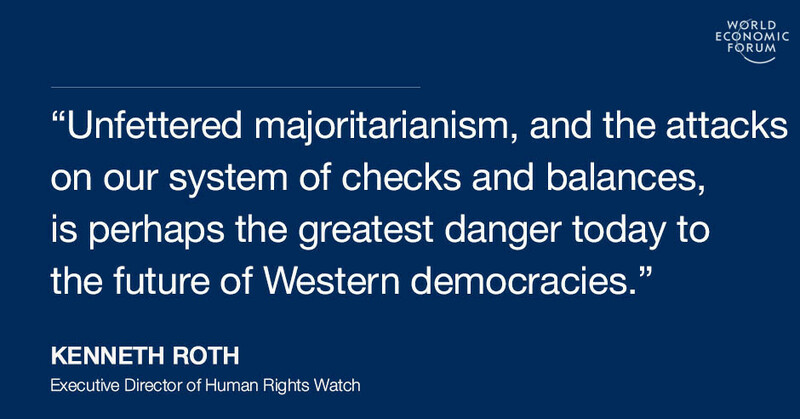 Unfettered majoritarianism, and the attacks on the system of checks and balances that keep governmental power constrained by rights and the rule of law, is perhaps the greatest danger today to the future of Western democracies. That truth does not dictate open borders or an end to the nation state. No government is obliged to admit every migrant who comes knocking, even though immigration often boosts a country's economy. 2030: the rise of compassion, or a world of warships and walls? Brexit was a leap of faith. Now where’s our parachute to soften the landing? But there are still limits to what can be done to reinforce borders. People seeking asylum must be given a fair hearing and, if their claims are found valid, a refuge. No one can be returned to war or persecution. Immigrants who have spent many years in a country, and around whose labor we have built our economies, should be granted legal status. Yet apart from such cases, economic migrants without special ties or protection needs can be barred and sent home. Meanwhile, immigrant communities lawfully in a country must be accorded full respect for their rights. They should not face discrimination in housing, education, employment, or their interactions with the police and justice system. Investments should be made so they can integrate and participate as full members of society. Public officials in particular should refrain from the hatred and intolerance that too often is directed toward minorities and affirm faith in independent courts upholding their rights. And problems driving migration—whether atrocities, repression, climate change, or lack of economic development—should be addressed at the source. Those are the best ways to ensure that our nations of the future, though most likely more diverse in terms of religion, ethnicity and race, will maintain the democratic traditions that have allowed the West to prosper.